On my list of comfort foods, without a doubt, is chili. Now I know everyone has their own recipe, but this, my darling readers, is the best chili recipe ever. Simplicity can speak volumes and this delicious and simple chili is loud and clear! Before we proceed, I must shout out to the one and only Judi Lashley. She is my best friend’s mom but I claim her as my own. 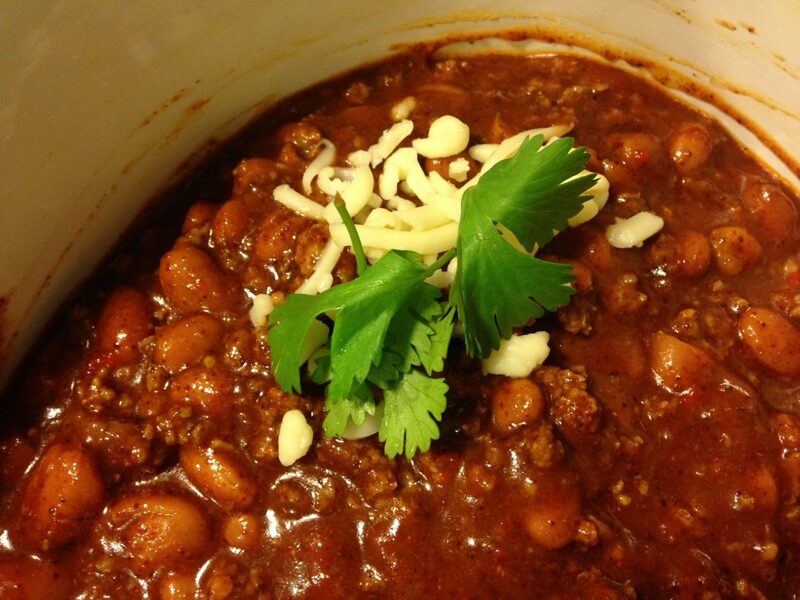 This is her chili and it is practically perfect in every way (just like Judi!). 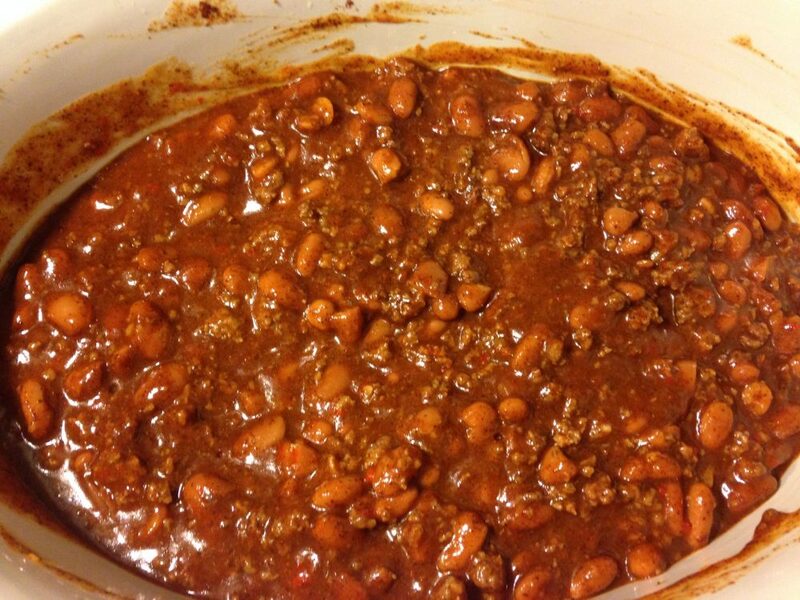 Growing up, I would invite myself over to their house if I knew they were having chili and I have so many fond memories of enjoying life over a steamy bowl of this meaty goodness. You want this chili in your recipe arsenal because it will never fail you. It freezes beautifully, serves as a fantastic chili base for you creative folks that want to add super exciting things like mushrooms or dark chocolate or whatever, and is always a crowd favorite. 4 ingredients that are most likely already in your pantry and freezer. Bonus! 1. Once your beef is cooked, open your cans and add everything to the crock pot. 2. Now, here is the difficult part…stir it. 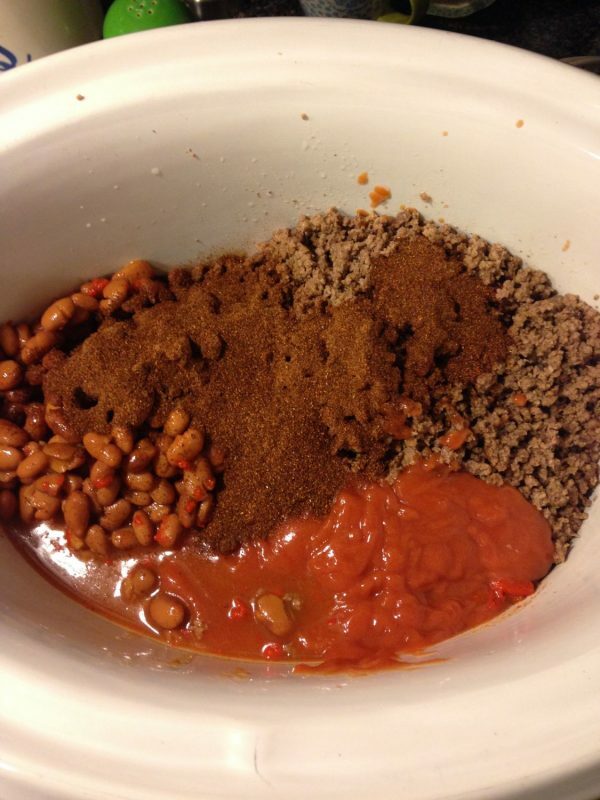 If we want to bulk it up a bit, we will add a can of black beans, diced tomatoes or rotel, chopped potatoes or onions. It is SO versatile. 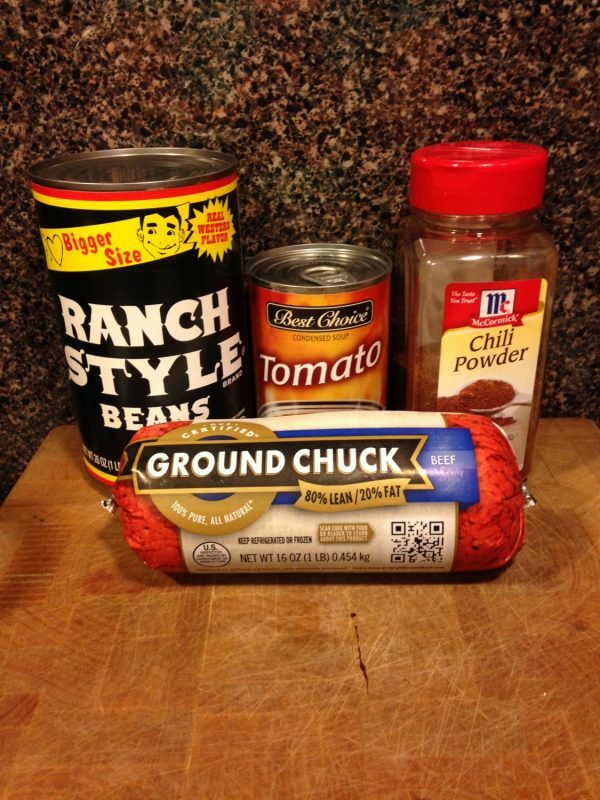 Make sure you add an extra T. of chili powder if you add a few more cans of something or extra veggies. 3. Turn the pot on low and heat 6-8 hours. If you are short on time, you can simmer on the stove (use the same skillet you cooked your beef in to save a dish!). Cook until it’s heated through or as long as possible. It is important to note that the longer it cooks, the more the flavors develop. Top with sour cream, cheese, cilantro, jalapenos, or whatever! It will be delicious, I promise. Unfortunately, not all of you can have the actual Judi Lashley in your life. So my gift to you is her chili. May it bring you the same joy and wonderful memories that it has brought me and countless others. I’m not a big fan of cold(er) weather, but the fact that I can now enjoy soup/chili definitely makes it better! :P This looks delicious! You will never be sorry you made it! Let me know how it goes!